I own When God was a Rabbit by Sarah Winman. It was one of the first books I bought for my brand new Kobo, back at the time it was released. Haven’t read it yet though. Isn’t that the way we are or how you’ve come to understand us? Sigh. Emma Hooper, author of Etta and Otto and Russell and James is quoted on the back cover: “A book to savour, to read in wonderful, rich little bits like dark chocolate. Winman’s prose is poetry, with a rhythm, a heartbeat, that carries you through like music.” I couldn’t have said it any better – poetry. That was the exact word I was thinking of every moment I spent reading, and I also read it in little bits as Hooper has so poetically described this book. Therefore, this writing style needed to be savoured, so I needed to spend a day or two away from reading it so I could clear my head from Villa America and settle into this one. 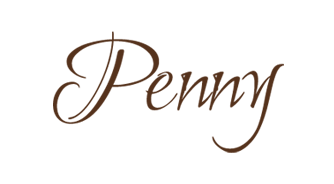 Winman peppers us with divine sentences like…”Everything was coated with the dust of better days, herself included.” It is filled with so many of those kinds of sentences, the ones that just beg to be savoured and their deeper meaning slowly taken in. A Year of Marvellous Ways opens with an old woman, Marvellous Ways, waking up realizing that what she has been waiting for, what she has been told to wait for, will be coming to her soon. She has no idea what that something or someone is, but she will be ready for when it does finally arrive. Marvellous lives alone by the water, her claim that her mother was a mermaid is one that draws suspicion from the town, and she is considered to be like an old witch that will cast a spell over you, or that is what the town gossip will have you believe. She was orphaned when she was 14 and became a midwife in her earlier years and now she spends her time talking to her surroundings and her old love Jack, long gone from this world. Jack was the one to tell her to wait, for it would come and she would know that this is what she has been waiting for. Francis Drake is home finally from the war, it’s taken him over 2 years to finally return. He brings with him a letter he promised to deliver to the father of a dead soldier he met, when the man was in his final hours. He promised him he would deliver this letter. When Drake first arrives home he discovers his first infatuation/love is alive and living in the area they grew up in. Missy is a broken soul at this point though and does not truly welcome Drake’s renewed expression of love for her. She ends up drowning herself, and in his grief, is how Drake comes upon Marvellous Ways. Marvellous has discovered what it is that she has been waiting for all this time. Prior to Drake’s appearance she has been busily cleaning out the old boathouse where she can tend to Drake. There are other characters that come into Drake and Marvellous’ lives as well – a woman named Peace, one of the babies that Marvellous delivered into the world. Together, these three navigate their final days (Marvellous) and their beginning days (Drake and Peace) together. 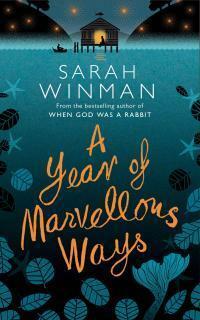 A Year of Marvellous Ways is a strange yet utterly beautiful book. It was like reading someone’s dream. There is a mystical element, or magical realism sprinkled throughout and Winman’s prose is simply stunning. This poetry lends itself to this dreamlike quality to the book. It is absolutely incredible how she can string common, well-used and everyday words into great moments of beauty. Ultimately, A Year of Marvellous Ways is a story about love and loss, and sadness and longing. It has mermaids, magic, dreams and incredible prose. It is likely to be one of the most original but beautiful books you’ll read this year. I don’t think you’ll have read anything like it, but I do know that you will love it. For some reason I’ve stayed clear of Winman. I think it’s the poetic language. Sometimes beautifully written sentences aren’t enough to keep me going. I need plot and substance too. I own the Rabbit one – haven’t read it – Jackie here did and said she didn’t really like it. But this one did have a nice story about Marvellous and Drake. But, I know it won’t be for everyone, there are moments when it’s strange or dream-like.